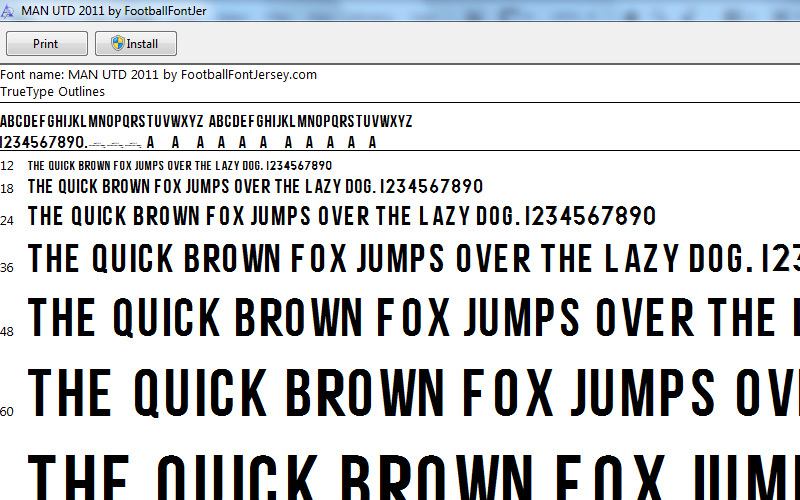 This is Manchester jersey font for 2011/2012 season . 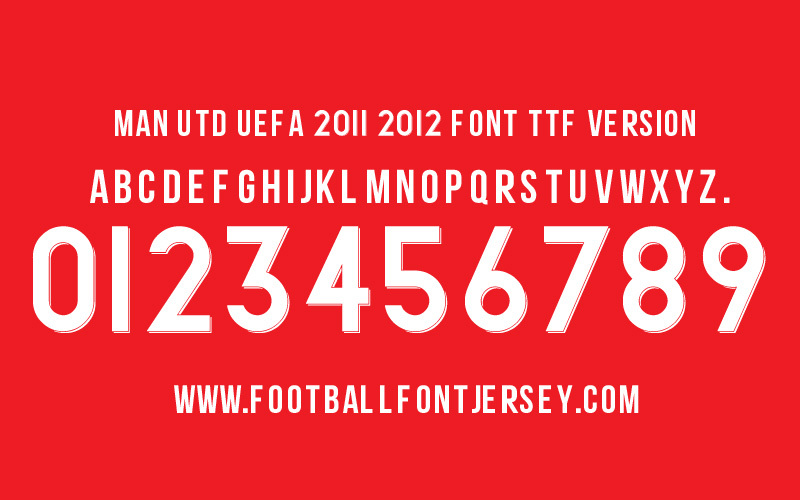 This font wear for UEFA match . Font available on TTF format , if you need logo you can get for free after complete your purchase in vector format. This entry was posted in English Premier League, Manchester United and tagged 2011, Font, Manchester United, nike, Premier League, TTF, UCL, UEFA, Vector.